Our boy loves Maths. Every night, I ask him to complete one page of addition from his Kumon workbook. He completed this page within five minutes, and he said, “I’m super clever!” He gave himself five stars! 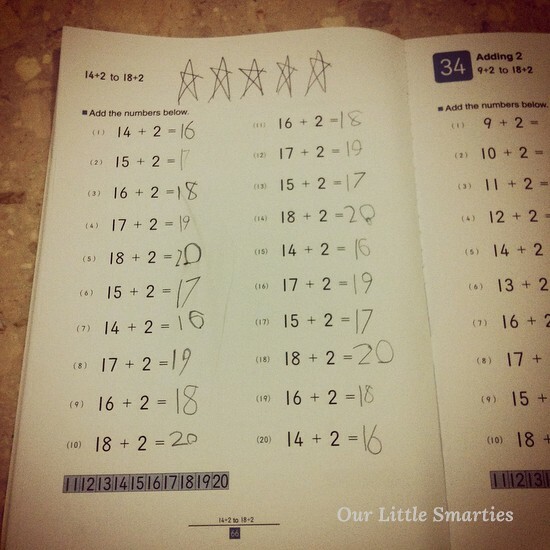 I’m just glad that he loves Maths, just like ME! Project 365: My Daily Photo Journal. Shot using my iPhone Instagram Apps.